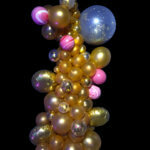 Organic Balloon Decor is beautiful – but pricey! – Balloon Pops! The world viewed through balloons! 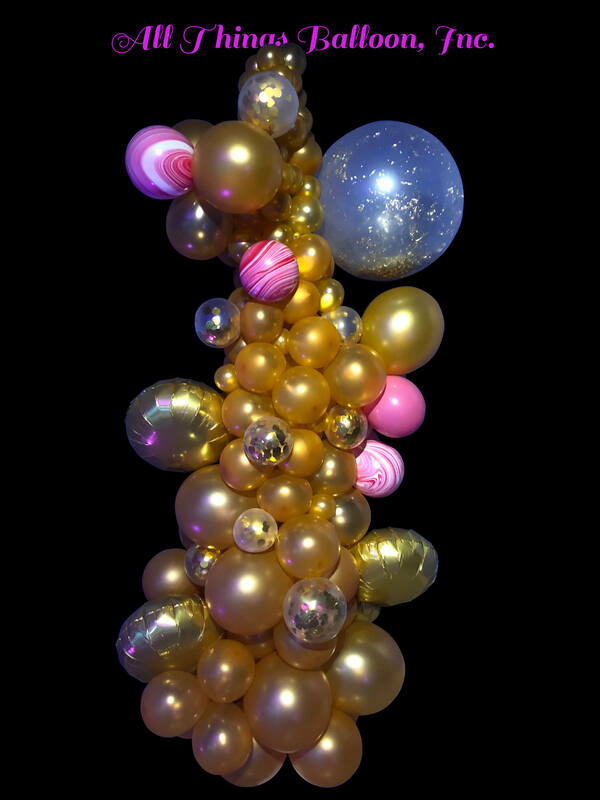 Organic Balloon Decor is beautiful – but pricey! True, they are just balloons. 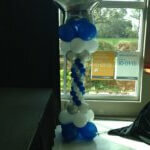 When you hire a balloon professional, you are not paying for the balloons, per se. You are hiring someone who has invested time and effort learning advanced techniques and new designs. You are hiring someone who has invested a lot of time and money on equipment and attending balloon conventions. And you are hiring someone with the talent and desire to create something incredibly cool for YOUR event! 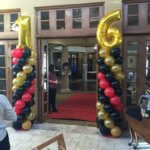 The difference in cost for organic and tradition balloon decor is primarily the time required to build. 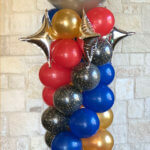 A traditional balloon column can be built in about 10-15 minutes; depending upon the pattern/style. Next up, we have a “Lamp Post” style column. 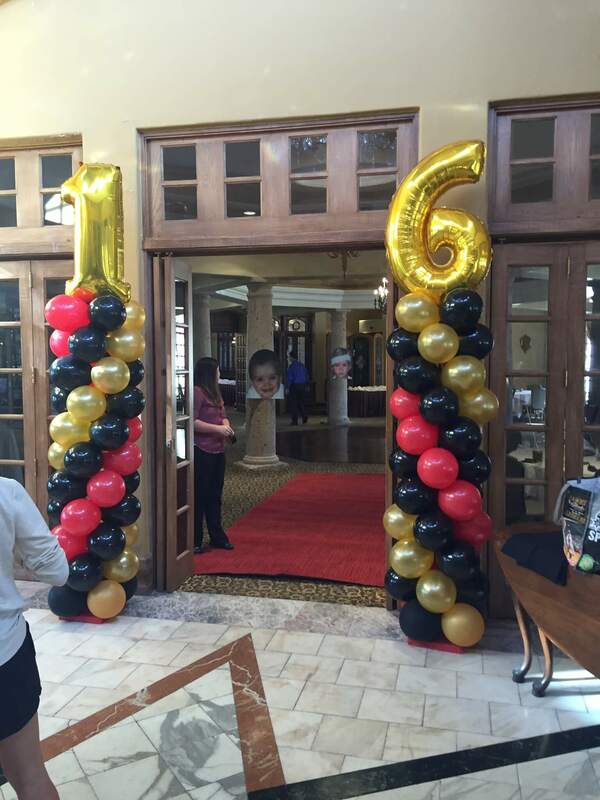 These take longer, more balloons need to be inflated, and different sized balloons required. This column style takes about 20 minutes per column to build. Next, we have an “Embellished” column style, depending upon complexity about 25 minutes per column. Next you can see the “Organic” style column – 30 minutes to an hour or more. 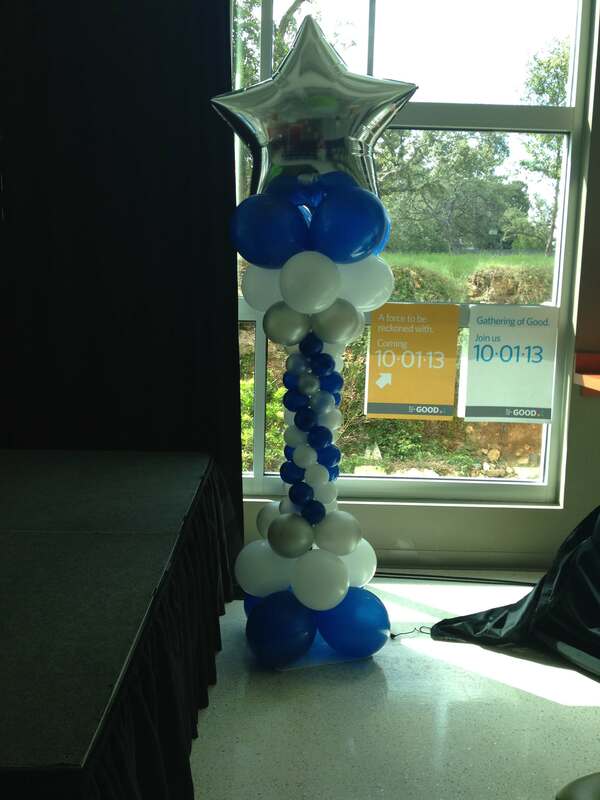 This takes a LOT more balloons, in wildly different sizes. 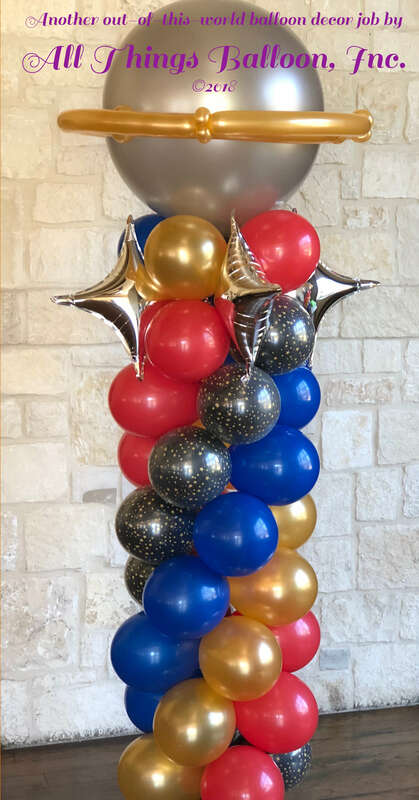 This example had foils, 6″, 11″, 16″ 24″ and 36″ balloons, some stuffed with confetti, agates….and it takes a lot of time and talent to get this style to look just right. 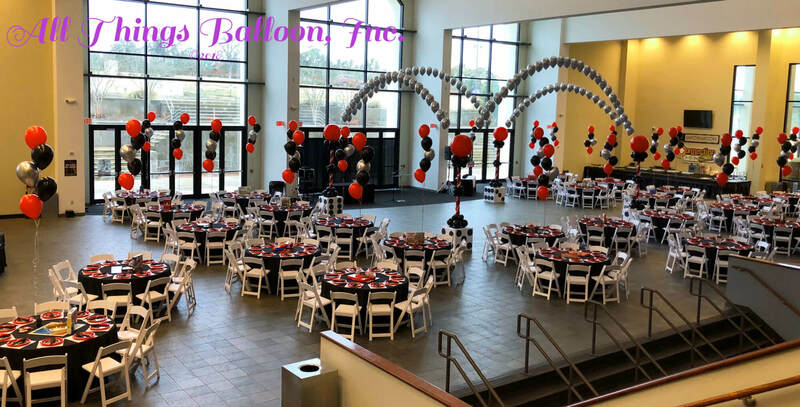 Finally, the “Artistic” style column…..you give us a theme, (and a HUGE budget), and then we turn our balloon artists loose. We integrate the coolest stuff we can build onto the column. Each Artistic column could take as much as 3 or 4 hours to build. As you can see, just about anyone can whip out a bunch of traditional columns really quickly with the right equipment, and the right supplies. But if you want something truly awesome, its gonna cost you! 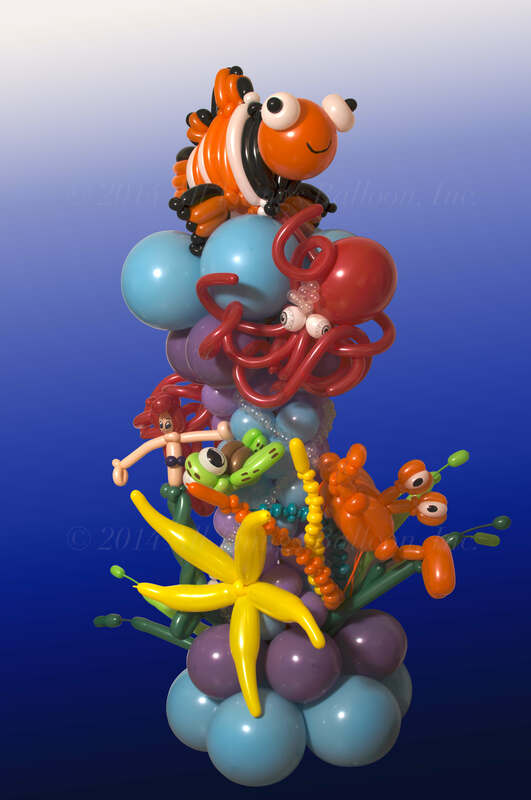 Copyright ©2018 All Things Balloon, Inc. All Rights reserved. 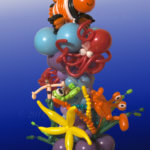 Contact us at sales@allthingsballoon.com to request usage rights.